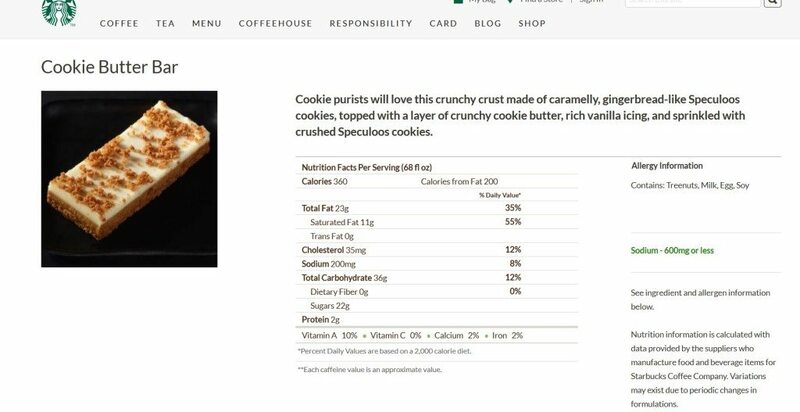 Look for this is in the pastry case at your neighborhood Starbucks all across the United States. (It is possible that some licensed locations may not offer this item). I’ve already had a few people tell me that this treat reminds them of the Cookie Butter at Trader Joes’s. I NEVER get the food at Starbucks but I saw this today and a barista just happened to be getting pastry orders in advance and asked if I wanted something. I caved and got this. It’s nothing short of fantastic. 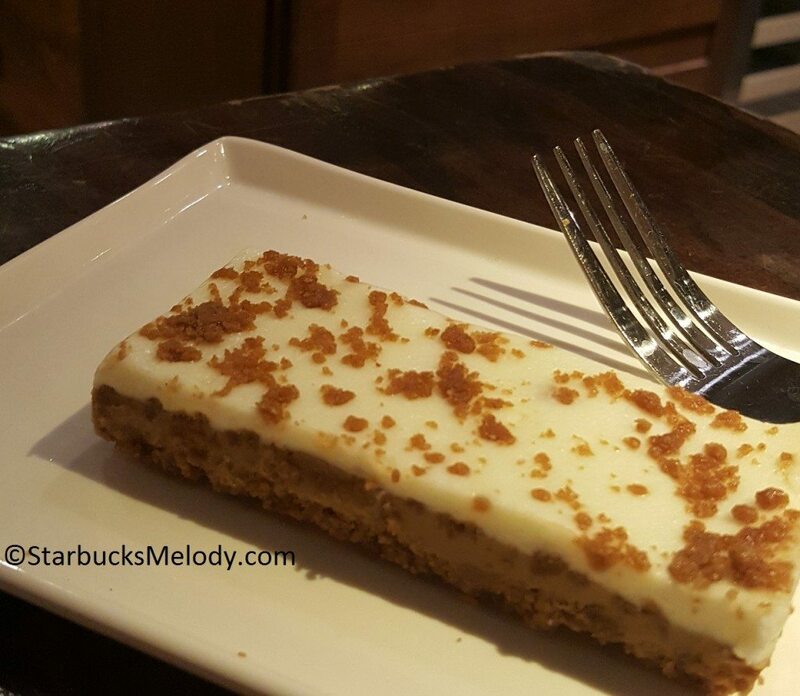 It has the right amount of crunchiness and softness, and the cream cheese icing isn’t overly tart or too sweet, plus the cookie has a slight saltiness to it that made this a truly memorable experience. I didn’t feel like I’d just had a sugar overload, but was rather very content. It was crumbly and so made a huge mess (I broke it into little pieces), but it was so delicious. For the size though it’s quite a shame that it has so many calories. Truly a ‘treat yo’self’ item. 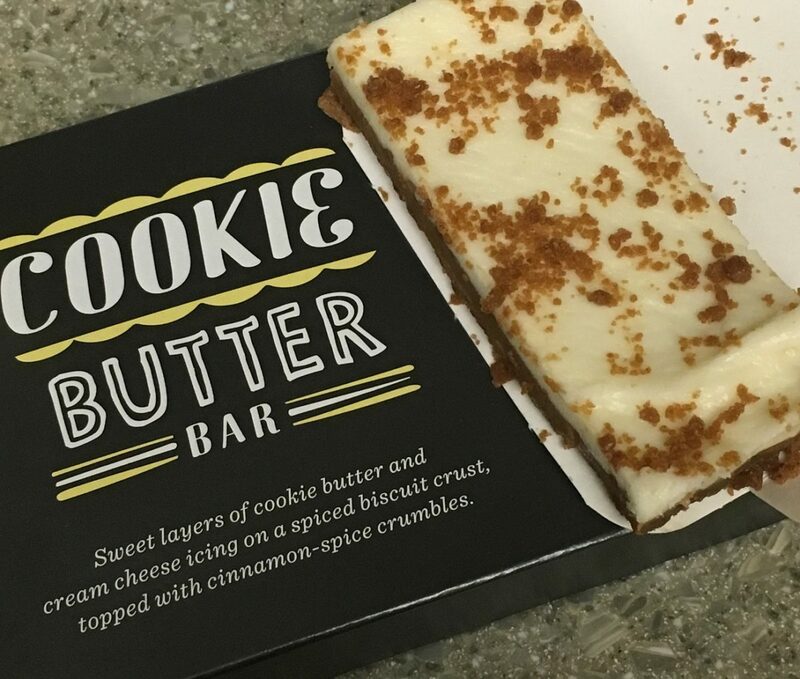 I bought a Cookie Butter Bar the other day in the store and I agree it was good. But it was served in a Starbuck’s bag. Extremely poor presentation and I had to eat it with my hands. Your picture above is much more professional presentation, served on a nice plate with a silver fork. At 1740 Avenue Road in Toronto if you are lucky enough to get a fork it is always plastic and seldom on a plate. The presentation makes all the difference in appetizing appearance. Maybe you can teach this to were I go daily to Starbuck’s 5 days a week for the past more that 10 years. By the way I also bought a box of the Cookie Butter Bar for my neighbour. She thought they were excellent.